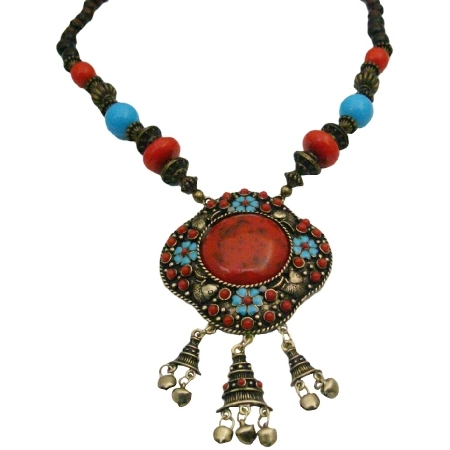 An exquisite this is a substantial focal neck piece that will arrive in a vintage Ethnic Traditional 22 inches long necklace Artistically made ethnic necklace with dangling bells with Turquoise Flower Pendant with coral stones engraved all over the pendant & very cute bell dangling. Is one of classiest items in our popular jewelry. Still made in the traditional manner in unique style.